Columbus Ohio Family Law Attorney on Moving or Relocating in the context of Ohio Child Custody, Shared Parenting or Visitation, Part 2. 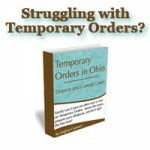 A Columbus Ohio Family Law Attorney article on Moving or Relocation. In situations where court ordered parenting time has been established, and the residential parent wants to move, pursuant to Ohio Revised Code 3019.051(G)(1), the other parent is entitled to notice of the move and, if requested or ordered by the court, a hearing. These notice provisions apply REGARDLESS of whether the non-residential or non-moving parent contests the move. A parent has a fundamental right to live where he or she wants to live, BUT they do not have a fundamental right to permanently relocate the child in violation of the Ohio Revised Code or the parties’ court order. Depending on the language of your court order and/or the language in the Local Rules of the court who issued the order, simply moving a certain distance away MAY automatically trigger a change in the ,custody, shared parenting, school placement parent, parenting time or other provisions of your parenting order. Ohio Revised Code 3109.04(F)(1)(j) specifically requires a court to consider whether either parent has established a residence, or is planning to establish a residence, outside this state when determining the best interest of the child. Sometimes parents want to move for legitimate reasons, and sometimes they want to move to thwart the other parent’s access to the child. Regardless of the reason for the move, if the move creates additional distance between the child and the other parent, the move IS going to have an impact on the parenting time of the non-moving parent. The question is, how much of an impact, and does the non-moving parent object? If the non-moving parent believes that the impact upon their parenting time and relationship with the child is significant, he or she may wish to modify custody, shared parenting, or the school placement parent in a shared parenting plan. At a minimum, the parties will need to consider whether a new parenting time schedule is appropriate. I live in ohio, lids dad and i have no support or visitations set. I am moving to Florida, what should i do prior to moving…. I want to move back to Tennessee as thats where I am from… I am getting remarried and then working on getting a job at Vanderbilt Medical Center… what is the best way to prove this is good for the kids when I have been the primary care giver for the last 4 yrs and the kids father only gets them every other weekend and I have done it all from giving him money, picking them up and dropping them off letting him live in my apt on his weekends while i stayed at a friends house and I have also offered to do the driving since he is not willing to do anything (as usual) and commuicatin from skype instagram to phones calls (which he never calls my phone to talk to them) and all I am trying to do is better them but feel as if I cant do that if I dont better myself and my finace is an awesome man loves those kids to death. How do I go about making it about them and not like its just a move for the hell of it when I know what the intentions are? I live in Ohio i have the custody of my child but i want to move to florida how i can move with my child and have the full custody i don’t want to change that. What can i do?